ACT – New Porsche 911 Pull Type Clutch Kits! 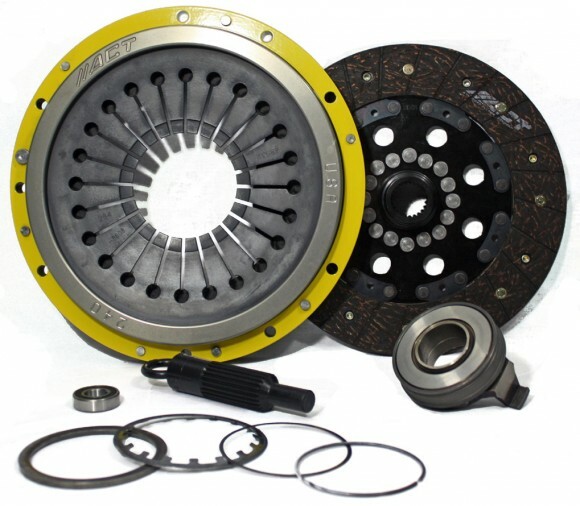 Advanced Clutch Technology (ACT) has released new high performance clutch kits and components for later Porsche 911 Pull Type applications. ACT’s new clutch kit for the Porsche 911 feature a Heavy Duty or Xtreme Pressure Plate that incorporates hardened diaphragm fingers for decreased wear, a CNC machined forged cover and provides a 20% to 88% increase in clamp force over the stock unit. The ACT Street Clutch Kit combines the Heavy Duty or Xtreme Pressure Plate and a Performance Organic Street Disc, a disc that features special performance organic friction materials to withstand increased heat and abuse, steel backed linings for high burst strength and modifications engineered for quicker shifting. The ACT Street Clutch Kit provides a moderate and consistent pedal feel, smooth engagement, significantly improved durability and increases the torque capacity of either 689 or 787 ft. lbs of torque depending on your pressure plate selection. ACT Race Clutch Kits will hold either 882 or 1008 ft. lbs. of torque depending upon your pressure plate selection. Cerametallic Xtreme Discs are available in a 6 puck unsprung hub design and are very durable while allowing for quick shifting. The Xtreme Discs are for high power engines and recommended for track use only. ACT clutches deliver the maximum holding power by applying a series of sound engineering advancements to new (not rebuilt) components which maximizes load and reduces flex. The result is maximum torque capacity, long life and clean, fast shifting.